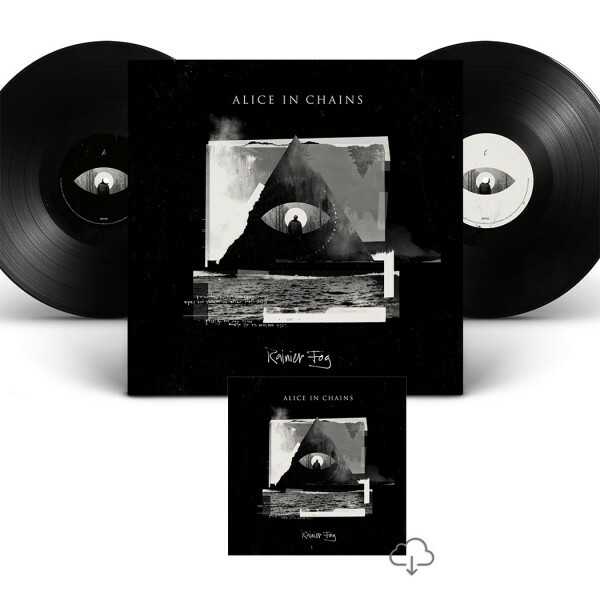 The Rainier Fog 180gm standard Vinyl LP + Digital Bundle. Rainier Fog was recorded in Los Angeles, Nashville, and for the first time in more than 20 years, their hometown of Seattle. Mixed by Joe Barresi (Tool, Queens of the Stone Age), Rainier Fog is the band’s third straight album recorded with Nick Raskulinecz (Foo Fighters, Deftones), who produced Black Gives Way To Blue and The Devil Put Dinosaurs Here.